ALWAYS listen to the people you are dealing with and confirm the final transaction. Apparently the Soekarno-Hatta airport, Jakarta’s international airport has a similar code to one in France. The check-in guy murmured- “So, two tickets to France then,” and we said “Uh-oh.” Always listen attentively. DON’T stare at anyone- officials, passengers, passers-by, anyone. A stare becomes a challenge and may result in confrontation. WEAN yourself onto spicy food until you love it. There is no other option. IF you’re a non-Muslim and you’re trying to sleep near a mosque, pretend the regular broadcasts of Islamic services is Indonesia kindly providing you with loud Arabic music for the day. Good morning from Indonesia! IF you have jet-lag, don’t sleep to your time, switch your body clock to the local time. JANGAN KUATIR. Don’t worry just because things a run differently here. I was panicking at the sight of Jakarta’s traffic mayhem, but the locals have a system and they stick to it. Don’t get in their way. AEROGUARD in crucial. I have a line on mosquito bites just around my ankles, just from where my socks met the bottoms of my trousers. Nyamuk are revolting vultures. WHERE possible, sleep with air-con. Firstly, it will cool you down from the sticky temperatures and, it will also rid the room of flies and mosquitoes. ONLY go to Indonesia, especially Jakarta, if you’re a) Indonesian or b) you have Indonesian family who live there. Everything, from customs, currency and expectations to places to eat during Ramadan and street etiquette, everything is local knowledge. SAYING “no” to things is very difficult. When being served unwanted food, you say “nanti” (later) or “kenyang”(I’m full) and they won’t get offended that you don’t like it. Alternatively, you can offer then another option. For example, if you’re weary of the milk and dairy products there and you’re served a cup of milk (the condensed, powdered kind with hot-water, unstirred), then you say, “Wah! Thank you very much! While I like milk, I really really prefer hot tea without milk.” In the end, if you’re a guest, they just want to please you. ALWAYS bring tissues. BYO toilet rolls and tissues. For napkins, toilet needs and for noses. No-where in Indonesia is there a toilet roll, especially in service stations on over-night bus trips. Your best chance to find a Western bathroom is in a Western fast food chain or big western hotel. BEWARE of squatty toilets. In some places, living creatures can be found swimming up out of them. Also, if you use your BYO toilet paper here, be scanty because it can block the system. GET as much sleep as you can, when you can. This won’t be hard because a lot of people sleep at various times of the day because of the heat anyway. On bus trips, you don’t know when you’ll get your next full night’s rest so sporadic shut-eye is better than nothing. ALWAYS bring DVT or hospital or aeroplane socks. These are thick and tight and they keep the blood pumping naturally to your toes while you sit on a bus from Jakarta to East Java for 19 hours. If you don’t you may get thick elephant ankles or worse, blood clots or nerve damage. IF YOU HAVE FORGOTTEN your special socks, wear ALL of your packed socks at the same time, for the duration of the journey. IF YOUR ANKLES ARE FAT LIKE AN ELEPHANT’S AND YOU’RE STRESSED, wear all your socks at once, overnight. When you rest, elevate your legs on a wall. Thick elastic just under the knees. Walk walk walk. DON’T assume that just because you understand the basics of Bahasa Indonesia that you can converse in the local dialect. Bahasa is a mongrel language and there is a different dialect for every region. WHEN DEALING WITH shop-keepers, don’t stress too much in the transaction. They want to make a sale, so they’ll make concessions for your feeble vocab. If you’re with family, they’ll either laugh and make it a joke for the rest of your holiday or gently tell you the correct punctuation. HAGGLING and bargaining ensures the best price, however, this is often difficult if your language is not within easy reach in a quick conversation. TRAVEL with a native speaker, native to the region. They can ask things that you didn’t think were relevant. GO to Borobudur around 7am or earlier. The air is cool and the tourist buses haven’t arrived yet. DON’T cave at the first souvenir shop you see. Shop comparatively. ALSO, THE SHOP-KEEPERS are vultures, however it’s their livelihood and source of income. When you turn them down, be kind, be gentle. PICK UP a Becak driver at Borobudur Terminal. He will know which food places are open to eat at during Ramadan, he’ll follow you around all day and become a personal guide and he’ll take you to the other two temples- Pawon and Mendut, the forgotten Buddhist temples in the region. 80 000 rupiah may sound steep, but it’s relatively AUD$8 and that’s 4 meals to the driver. PEOPLE will stare at you because you are different, you are a tourist. Don’t make it worse by wearing glamorous flashy clothes; try to blend in with plain boring clothes. Don’t make yourself a target and show off your wealth- pick-pocketing is a real problem. INSTEAD of paying top dollar for a tourist package bus trip to Borobudur, take the local systems- it’s cheaper and if you’re friendly with the bus driver, you get a local tour guide. It gives the bus route a reason to keep running and it equates to under 80 000 rupiah instead of over 500 000 rupiah. The same goes for hotels. Stay in the outskirts of the city central and get local transport or walk. It is significantly cheaper to stay out of town and the quality of the stay won’t be any worse, in fact it may be better because they want to attract people. THE COFFEE is very different. Don’t expect Western coffee. IF YOU’RE NOT AN INDONESIAN CITIZEN expect to be very ripped off at tourist destinations like Borobudur. The price difference is 190 000R v 30 000R for an international v. a citizen for park entry. Try and get student or senior discounts if you can. TAKE CARE of your identity. Have a money belt with your passport and all your spare cash on your person, under your clothes and never expose it. PHOTOCOPY your identity, flight itinerary, visa and other important documents. Leave a copy at home with a family member and give a copy to every one of your travellers. This is in case you get separated or your original goes missing. BRING A SICK BAG on night buses. If not for you, then for your neighbour. BRING A DIARY because a long trip in a foreign country with a foreign language can be very taxing on your concentration and mental health. Write all your feelings and experiences to have some time to debrief with yourself. IT’S A GOOD IDEA to do currency exchange over there. Definitely bring local currency INTO the country, however as a back-up, bring currency to exchange. The rate is astronomically better than the exchange rates at home. EVEN THOUGH a good indicator for a safe place to eat is the number of locals who frequent it, REMEMBER that the flora and fauna in your stomach are not the same as those in Indonesia. KEEP YOUR EYES OPEN FOR local events and traditional cultural experiences. The Keraton in Yogya holds nightly Wayang Kulit, but we only found out because we flicked on the telly one night and heard about it. WATCH THE LOCALS for local handshakes. These generally go according to status. Once you enter a room, you must greet every person in the room ASAP and to people older, you bend, pulling their hand to your forehead. To random acquaintances, handshake then touch your sternum. Some religions may be different in customs. CROSS THE TRAFFIC with other people in a group or with locals. On a busy main road, they just stick their hand out to point where they’re going and they very slowly walk into the traffic. The traffic will either go around you or slow to a halt. EAT FISH WITH your fingers. Fiddly bones are small and invisible. Chew and chew overtime just to make sure you haven’t missed any bones. BEWARE of early transit flights. The company is irritable and less than excellent. IF YOU’RE AUSTRALIAN, register your details at smarttraveler.gove.au. Do your homework on their travel tips. INDONESIA has an upfront departure tax that gets sprung on you as you check in. 150 000R per person. TRUST YOURSELF with the local language and practice. Jerky analysing of what you’re saying before you say it won’t get you anywhere. I’ve just returned from Indonesia, a trip around Java with my family for three weeks. Totally stunning. I’ll post my Top 40 traveler’s tips soon, but if you have any questions to ask a new traveler in a foreign country, don’t hesitate to message me! Imagine a rich, silky coffee, pick your poison but make it full bodied and double strength. Now transfer that smooth warmth to aural splendour. 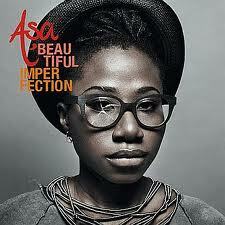 That’s what I think listening to Paris-based Nigeriam singer Asa sounds like. She weaves a rich tapestry of sound, mixing reggae, soul and folk while switching between English and her native West African tongue- Yoruba. Songs like “Be My Man” use the electric keyboard, rendering the sound a lovely modern blend of the 1960’s and soul. She’s smooth, upbeat and perfect for setting the mood in a candle-lit dinner entertaining friends, as the musky smell of sandalwood wafts through the air. She’s sophistication and she’s elegance. Her voice is deep and controlled, then in whispy whispers sometimes. She’s a pleasure to listen to, with a full-bodied band behind her. A perfect example of this fusion is “The Way I Feel”. Feel good, easy listening, head bopping, smiley music. This album showers no sparkles, rides no unicorns nor slides down any rainbows. However, this album is homey, gritty and makes me feel special. I’m probably the target audience- young, emotional and above all, aspirational. This album speaks to my inner core and not just through the beautiful lyrics. Howard’s voice is subtle, understated, gentle and so smooth. I have heard countless renditions of his tunes-banjo covers, YouTUbe amateurs, acoustic tempo swings and yet, this album will remain the original and the best. While there’s some great stuff out there, Howard’s orchestral arrangements do well to capture the mood and atmosphere. Online, I found an acoustic version (performed by Howard himself) of “Only Love” and as wonderful as it was, it didn’t capture the same power and glory of the album version does with a full sound scape to support it. “Keep Your Head Up” is smiley and danceable and I really appreciate his ability to bend ambience and mood through an up-beat tempo. It’s like running along a sparkling beach, with the salt spray kissing your cheeks, red kite in hand. In comparison, “Black Flies” is stunning, slow and like sitting in a wooden jetty over a misty lake, it’s cool, slow, and the dark, deep waters lap up to your toes. These two songs, “Keep Your Head Up” and “Black Flies” are the two I would most certainly recommend to new folk to listen to. The latter is used quite a lot as the backing score to nostalgic and emotional fan-videos on YouTube because the tune just slows everything down so perfectly. Hiw acoustic guitar, slow drum beat and so whisper is so calming, calming, calming. I think in his subtlety and restraint, this song is majestic and I think his hole album is stunning. He’s a British singer-songwriter who is also a keen surfer and his music is clearly influenced by the laid back summer vibe that is endless ocean blues and warm goldens. Songs like “Old Pine” show great control and talent in songwriting and composing as well as vocals. This calmness ebbs and flows through this breezy acoustic album. Perfect soundtrack to an afternoon in a hammock. 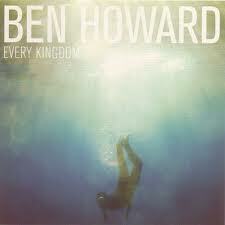 This album slows the tempo right down- the tempo of your heart, the beat of your drum, the daily grind. In a very Bon Iver-esque sound, this album boasts a fully self-written and composed score. May I say, each song is beautiful. The acoustic, the guitar, it’s all a bit reminiscent of the band City and Colour, especially with the heavily reliance on lyrics. “Hear The Noise That Moves” is calm and like a whisper in the dark, while “If I Had A Boat” begins as a unique acapella sound of caressing voices, sliding neatly into a solid 1980’s beat, something folky. In my head, there’s a picture of a grey lake, still, only coloured by a thick fog, a stagnant mist. If you listen to this music, close your eyes. On the other side of the spectrum, “Sparrow and the Wolf” sounds like it has a backing from Boy and Bear, with vocals from Bon Iver. 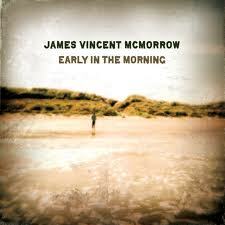 Yet the thing is this guy, James, has created a pastiche of indie-folk sounds and thus innovatively created his own unique sound. As a love of his style of music, it’s not necessarily memorable- only momentary bliss. Every song on this album has an explicit difference wth all previous songs, yet they trend with familiar bands- for example “Breaking Hearts” sounds a lot like City and Colour. The thing is, I love it. I’m comfortable because it’s calming and it caresses my mind, the music is relaxing. A flight from Sydney to anywhere overseas is guaranteed to be a long flight. I made the mistake of leaving my music at home. 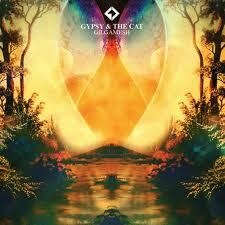 Nevertheless, in flight entertainment offered me the album Gilgamesh by Gypsy and the Cat. The Melbourne duo is fresh, experimental and yet, oddly familiar at the same time. I feel like they should be on a playlist of mine, beside Coldplay and the Temper Trap. How have I not been exposed to this band before? Indie-pop rock is a broad genre, allowing the band little bit of experimentation and innovation with the pop sound from the 1980’s (especially in the songs “Watching Me, Watching You” and “Jona Vark”). They’ve got a strong drum beat and I’m sure there are other traditional instruments hidden beneath their electric soundscape and pan-flute. Given, each song sound a bit like the previous, however I feel that that may be a testament to the grounded ‘sound’ of the band. Each song grows on you. The opening of each song is not necessarily an indicator of the ocean of sound each tune waves- just wait until the drop the bass. I love it. For me, “Time to Wander” opens and really sets the mood for the album- it’s sort of overwhelming and futuristic, dance-pop and electric. It’s borderline tribal and ever so catchy. This band has successfully ensnared my heart. “The Piper’s Song” just makes me want to dance or swing through the jungle on some vines- but that could just be the influence of the pan-flute working its magic. I think they’re indie-pop rock because of the experiments they have with very familiar beats and sounds. They’ve got great vocals too- this band has some great potential and already a large following as they perform at music festivals and gigs. For now, I’ll have to resort to wriggling in my window-seat.